• PLOT SUMMARY: Sixty years of cartoons, generations of fans, a gang of beloved characters, but only one creator: the legend, Charles M. Schultz. 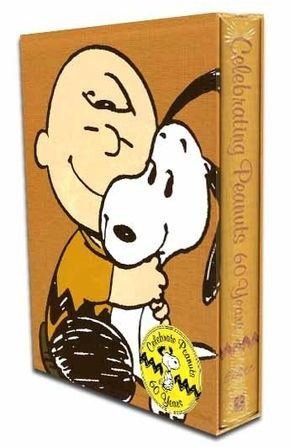 Andrews McMeel is proud to showcase this exclusive Peanuts 60th Annversary Book. Packed with commentary from throughout Schulz's career and has special memorabilia from the Schulz Museum, making this book not only a heartwarming tribute but also a true collector's item. This special 60th anniversary tribute is arranged by character so each of Schulz's creations comes to life by focusing on their individual quirks, personalities, and interactions. Cover art by Charles M. Schultz. Hardcover (Slipcase), 10-in. x 13-in., 544 pages.